African Bank Holdings Limited has appointed the first black woman to head a commercial bank in South Africa. Basani Maluleke’s appointment as chief executive officer of African Bank will be effective as of April 1. Her appointment follows the announcement of the retirement of Brent Riley, who steps down as CEO on March 31. Maluleke has been part of African Bank as a non-executive for over ten years. She took over as group executive for operations in 2017. 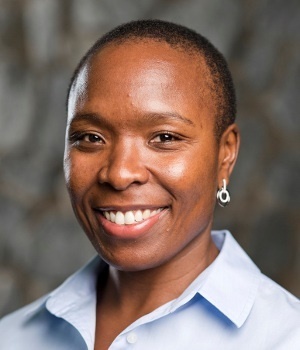 Board chairperson Louis von Zeuner said Maluleke’s induction took place in July 2017, and added the board formally welcomes Maluleke, who has over ten years’ experience in financial services, into her new position. “Basani has been an integral part of executing African Bank’s turnaround strategy,” said Von Zeuner. As City Press previously reported, Maluleke said she is taking up the position because she believes the bank is going to perform well in the local market. Maluleke has been encouraged by the repositioning of African Bank into a competitive retail bank. “Our executive team is supported and challenged by an independent and diversely skilled board, a culture which bodes well for building solid checks and balances across the business,” Maluleke said.